CTeen is a global family of Jewish teens, dedicated to changing the world through acts of goodness and kindness. Through a fusion of fun, friendship building events, humanitarian outreach, mitzvah observance, and engaging Torah study, teens are empowered to actualize their inner infinite potential, while cultivating a strong sense of Jewish identity, pride, mission, and love of G‑d. Our mission is to provide a nurturing environment where teens can learn about themselves through giving to others, identify with individuals who share the same faith, and be part of a group that focuses on building core values and stresses positive character development. CTeen delivers a comprehensive curriculum based on a three-part framework. CTeen places education at the forefront, ensuring every program is designed to enhance the development of important life skills. CTeen helps teens build compassion toward others by giving back to the community through various humanitarian projects. CTeen builds social skills though positive affiliations, ensuring personal growth in a society where working together is the key to advancement. CTeen also offers a wonderful preparation and transition from high school to college. CTeen members are guaranteed to find a home away from home when they enroll in a university featuring Chabad on Campus. Chabad on Campus has student centers in nearly 170 college institutions across the country. 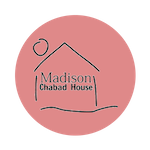 For more information about Chabad on Campus, please visit www.chabad.edu.